James J. Hill lived the late nineteenth century American dream. Through hard work, perseverance, and sometimes sheer luck, Hill amassed a fortune in the railroad industry though his company Great Northern. 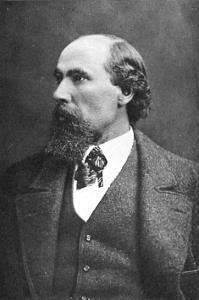 Hill was born in a rural community west of Toronto, Canada in 1838. Hill attended school through the age of fourteen, when his father died and he and his siblings went to work to support the family. Shortly after he moved to St. Paul he worked his way through the shipping business, eventually owning a company of his own. By middle age, Hill gained control of the St. Paul and Pacific Railroad, which would later come under the Great Northern umbrella. Great Northern became wildly successful under Hill’s leadership. In 1893 the railroad connected St. Paul to Seattle, becoming the northernmost transcontinental railroad, and the only one to have been privately funded. It was also the only railroad company not to file bankruptcy in the financial panic of that year. It was this railroad line that created the town of Hillyard. 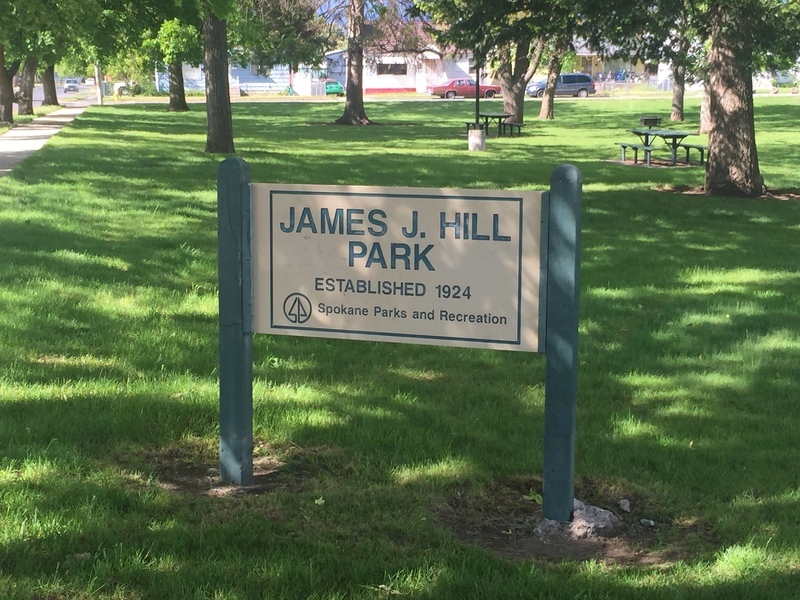 James J. Hill strategically chose the location for his workshops northeast of the city of Spokane to avoid taxation. Citizens of this new city centered around the railroad industry honored Hill, over his objections, in naming their city Hillyard (Hill’s yard). Although James Hill died in 1916, his legacy lives on in Hillyard, a place which continues to be proud of its railroad heritage. James J. Hill: This image shows what James Hill looked like in his thirties. The Canadian born railroad tycoon married Mary Theresa Mehegan in 1867 and the couple went on to have ten children. Image courtesy of Wikimedia Commons. 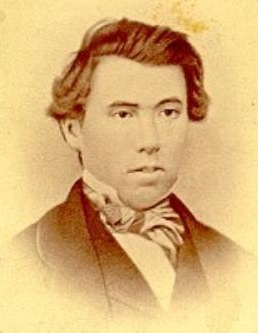 Young Hill: This image was taken around 1856 when Hill was a young man. Image courtesy of Wikimedia Commons. 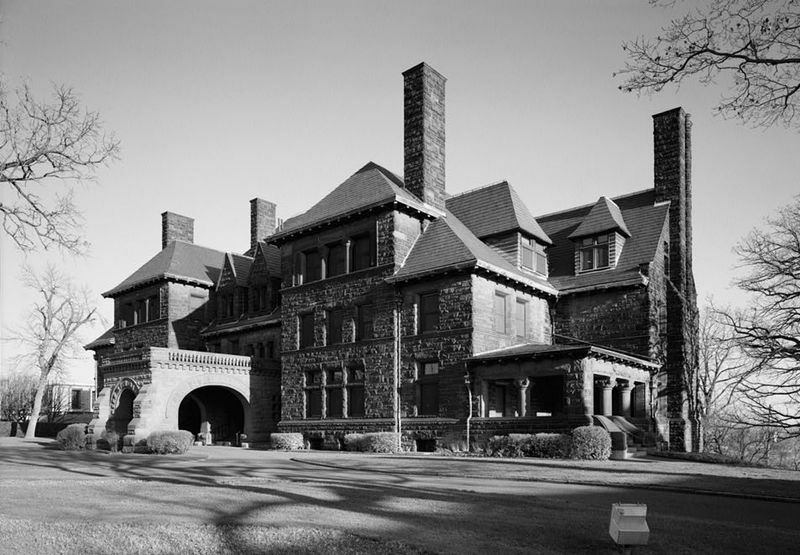 The Hill House: Hill amassed a fortune in the railroad business and built this 36,000 square foot home in 1891 for his wife and ten children. Image courtesy of the Library of Congress. 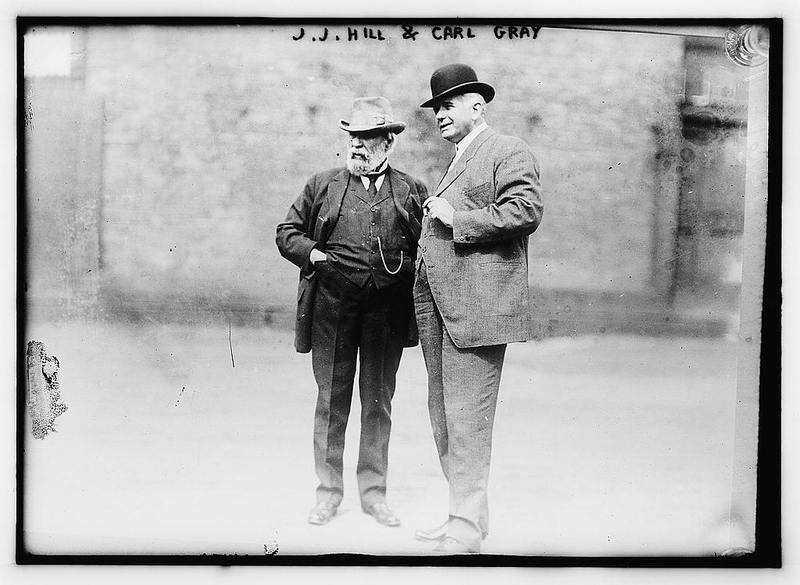 Hill with Carl Gray ca. 1913: From this image you can see Hill was a short man, but he was certainly larger than life. At the time this photograph was taken Carl Gray was president of Great Northern. Image courtesy of the Library of Congress. 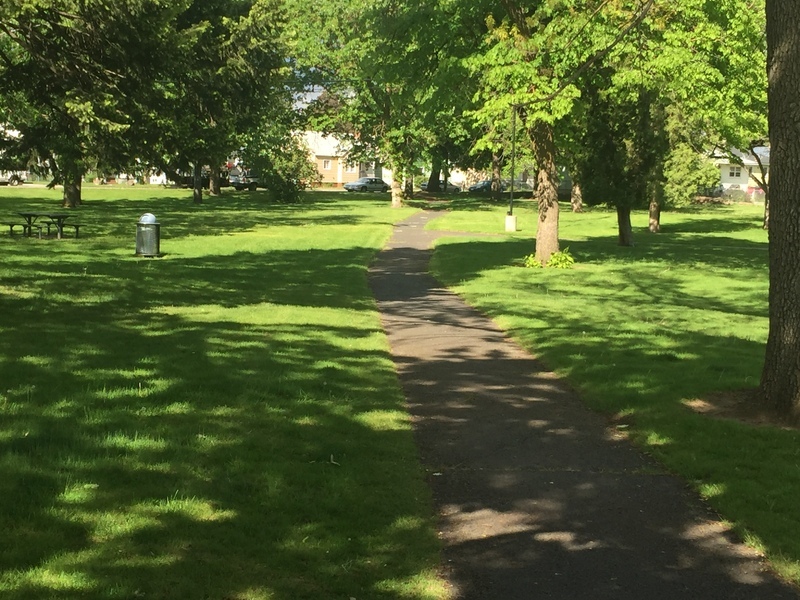 James J. Hill Park: This park was created in 1924 and dedicated to the founding father of Hillyard. Image courtesy of Allie Honican. Allie Honican, “James J. Hill,” Spokane Historical, accessed April 20, 2019, https://spokanehistorical.org/items/show/637. 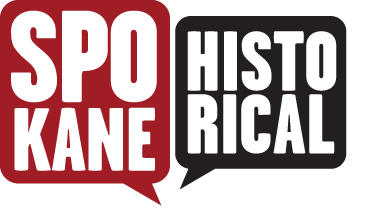 Twin Cities PBS and the Minnesota Historical Society, “James J. Hill: Empire Builder” https://www.youtube.com/watch?v=Eg3Srbncpds. Spokane Daily Chronicle. “James J. Hill Dies At Home In St. Paul” May 29, 1916.